Baseball is the most popular sport in the United States. Over centuries the sport grown exponentially to become the national sport of the company and is watched by millions of fans. The sport is even gaining momentum in other parts of the world and does have the potential to be something enjoyed by people from all across the world. With its great fan following and popularity, the sport has developed many sports gear manufacturers to its bay. There are many popular companies developing and remodeling the gears used for playing the sport. This has created so many options for you to purchase your baseball gears from. If you are someone who does not know the specifics to look for while making a purchase, it can become a real issue for you. The issue gets even worse if the gear you are looking for is infielder gloves. After the club and the ball, the gloves are one of the most important things to purchase. 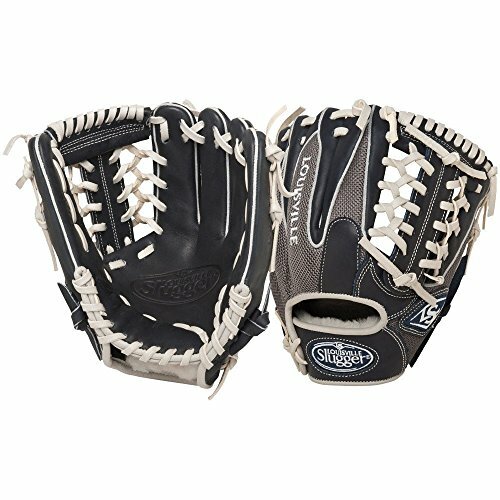 With so many options available to purchase from, it can be a very difficult task when you are going to get some infielder gloves. 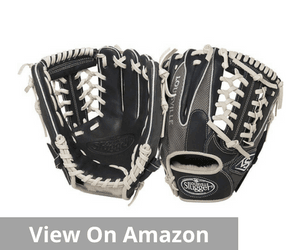 In this article, we have researched all across the internet to find out some of the best infielder gloves you can purchase with no doubts in your mind. 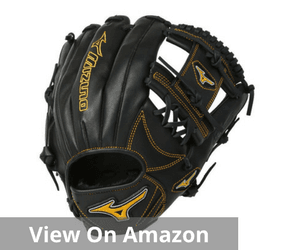 We have listed five of the best infielder gloves and also a buying guide on the aspects to look for before you make a purchase of a glove. So, read ahead and clear all the doubts in your mind. 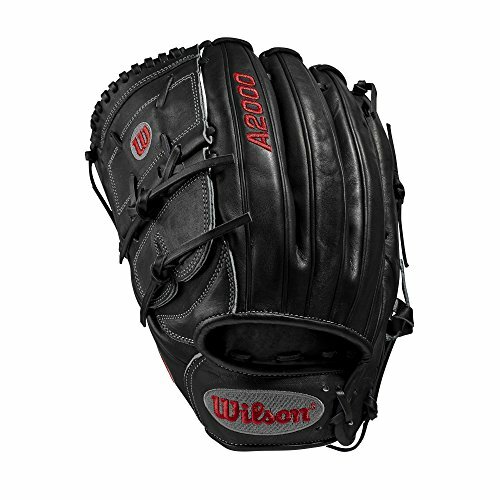 If you make a quick Google search on the Wilson A2000 infield glove, you would find out that it is considered to be one the best infield glove in the whole world right now. It is one of the brands which has tried and tested their formula to develop a glove so sturdy and at the same time comfortable for your use. It has most needed construction and glove dimensions which earn it the title of being one of the best in the world. What makes it so desirable is that the glove perfectly fits into four categories which most of the people look for while making a purchase. The size is the first factor which makes it so appealing. It runs 11.5 inches from the web tip to the heel. Most of the middle infielders and the 3rd baseman prefer a glove of this size. The entrance of the glove is ideal. It features a traditional style which is not too big or nor too small. It has got some extra padding in the heel which is enough to make the glove comfortable but not extravagant to make it hard to make exchanges. The newer versions have a lot more padding than the earlier versions. This makes it a dream glove for any infielder. 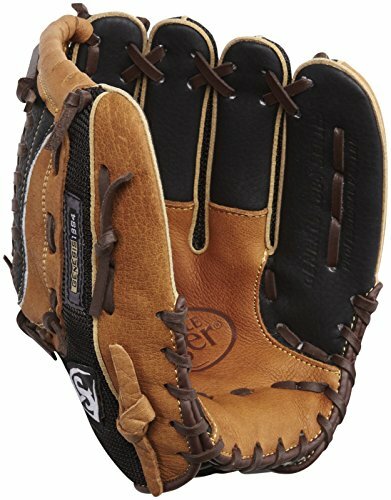 Wilson uses pro stock leather to make their gloves. Each company has their secret ingredient when it comes to making their star products. This is Wilson’s secret ingredient. The leather is collected from the specially raised cows in Japan whose sole purpose in life is to provide quality leather for making Wilson’s gloves. 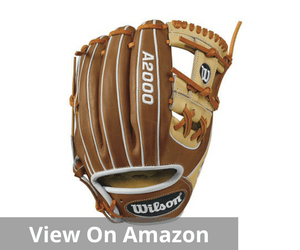 All their A2000 models use the Pro Stock leather. They have also set the industry standards for infielder gloves with the design and pocket size. With a little research, it can be seen that some of the other companies in the market use Wilson’s gloves as their template for design and pocket size. This is one of the gloves which have the most versatile and easy break-in. Mizuno has gone with a Center Pocket Designed Patterns which centers the pocket under the index finger enhances the comfort of use. The leather used to make the glove is smooth and has the perfect level of softness and oil. This provides exceptional grip and great control making it the ideal glove for any serious baseball player. The thumb slot has PlusGrip Thumb which slots in the thumb with ease and provides a comfortable compartment. It features an all-new design from the previous version, with new wrist logos, professional level lace, outlined and embroidered logos. It also features Deep III web and a size of 11.75 inches which is ideal for any infield player. The product comes with a one-year manufacturer guarantee which helps you be at peace in case of any issues. As per customer reviews, one of the feature to be noted is that it is a glove which has a very good break-in period. The glove for its reasonable price does feel like one of the expensive gloves you can get your hands on. One word which can describe Louisville Slugger Baseball Infielders Glove is Hybrid. It is the best of both worlds. The glove is built to deliver the best performance and at the same time amazing durability. It is a great glove for players from all the levels of quality. It is lightweight and gives a comfortable fit which is great for the player to move around and handle the ball with ease. The hybrid label suits it well because it has great durability but to get that it has not sacrificed any of its flexibility. The size of the glove is 11.5 inches which are the ideal size looked at by most of the professional players.It is manufactured by the use of Gaucho leather which is oil-infused and is of professional grade quality. The manufacturer also provides a one-year limited warranty for the product which will help you be at peace with regards to any of the damages faced by the glove. It is one of the best gloves you can get your hands on for the price that you pay. 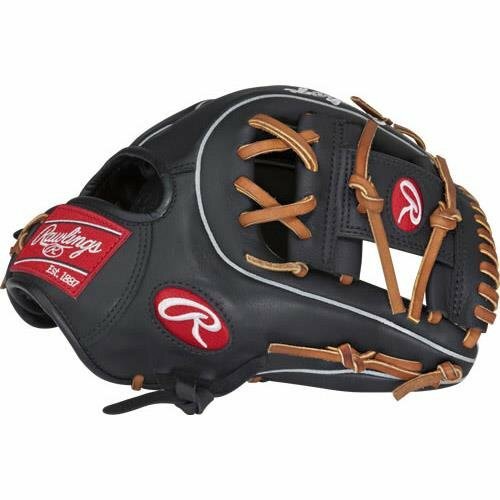 If you are talking economical, the Rawlings Gamer Glove Series would be the best to look out for. It is one of the products which will deliver quality for the price you pay. It comes 80% worked in right from the factory. This reduces your effort to get the glove to its break-in period. The series has almost 25 different models ideal for both baseballs and softball. The youth models have finger stalls which are thinner and tapered wrist entry for comfort. One of the features which make the glove one of the best is that it is extremely durable. Better quality materials are used for its manufacturing, and it stands out from the previous model very well. Even under constant stress, the glove works perfectly well for years. The variety it offers is unmatched for. There is over 25 model which suits for both serious and young players to choose from. It also comes in various colors and sizes for you to choose. The adult range is the most popular range and it also features softball designs too. It is the perfect style for anyone who is looking for a glove that is reasonably priced but at the same time does not compromise on quality. If there is a glove which is rearing to go and play the sport as much as you – it is the Louisville Slugger Genesis. A glove designed to give you better comfort and durability, at the same time ease to handle. It is a product which is directed on the youth who are eager to learn the sport and make a mark in the future. 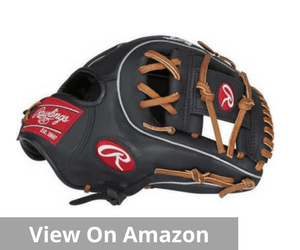 It is the ideal glove for anyone who is serious about baseball. 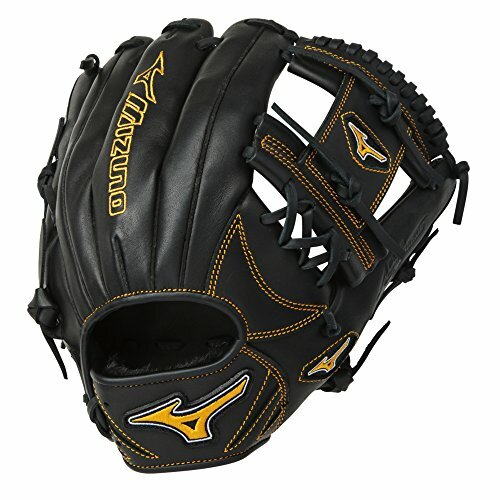 Featuring performance mesh and buffalo leather, it makes for one of the best quality infielder gloves for any player. The glove has a traditional feel and features all the good qualities of the models from the past. But it is totally ready to be used off the shelf as the break-in is done in the factory. So, when you purchase this product, you get a glove which is game ready as soon as you get it. It is no wonder that Louisville Slugger has got itself featured on this list for the second time. 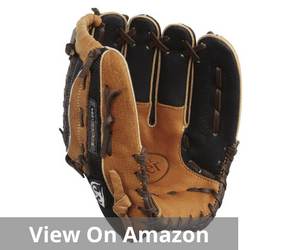 It is due to the fact that they make some of the best quality infielder gloves. The glove is imported from the United Kingdom and comes with a one-year limited warranty, which is great as you do not have to worry about it being damaged too soon. The Genesis is a game ready glove which any serious ball player should possess. Buying a glove can be a difficult task. As there are many brands providing different kinds of gloves, it becomes a tough task to choose the one that suits you the most. So, here are some of the aspects you should know about before you go off to purchase an infielder glove. Material – Gloves can be made using different materials. Leather, treated leather, mesh, or other synthetic materials are the most used materials to make gloves. But leather is the one which delivers the best quality. Some player could go for treated leather because it would already be game ready and have a better break-in period. Synthetic materials are preferred if you are looking for inexpensive gloves. Pocket Size – The infield players usually use a glove which is smaller than an outfield player. The size is instrumental as they would have to have enough protection from fastmoving balls and also have the ability to exchange balls with ease. So the ideal size has to be chosen. Throwing Hand – A left-hand thrower would wear the glove on the right hand, and a right-hand thrower would wear the glove on the left hand. So depending on your preferred hand, you should choose the appropriate glove. Webbing – There are different kinds of webbing available for gloves. But the most used webbing for an infielder glove has looser stitches. This is to have more control on the ball and have the ability to throw the ball a lot quicker. Wrist Adjustment – It plays an important part as the player gets the ability to work with the adjustment and make the glove a lot more comfortable on their wrist. Laced, velcro, buckle, and D-ring fastener are the commonly used types of wrist adjustments. Padding – The padding of the glove is defined according to the position you play at. An infield player should have the appropriate amount of padding to protect their hands from fast-moving balls. But at the same time, it should not hinder their ability to handle and throw the ball quicker. Budget and Requirement – Finally, it all depends on the kind of glove you require and the budget you have for it. If you know what you want and have a fixed budget, it will eliminate every model which doesn’t come under the sphere. This will make it easier for you to choose. 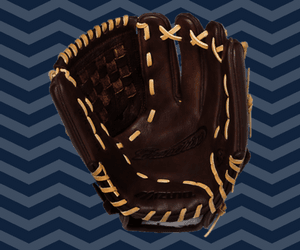 Follow these tips and look at the infielder gloves mentioned in the article to get a clear idea of the things to look out for when you are purchasing an infielder glove. Make it a worthy purchase.